Preparing for a Bed Bug Treatment with Hi-Tech is easy, let us help you today! Do You Have a Bed Bug Problem? Call Today! Preparing for bed bug treatment with Hi-Tech Pest Control is easy! All furniture and beds must be in the home before treatment. 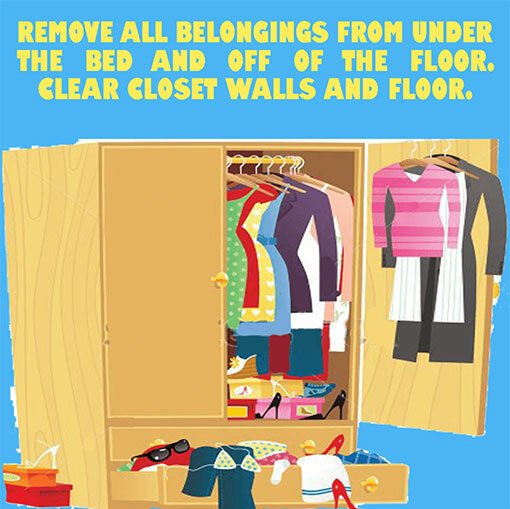 Remove all belongings from underneath beds and off of the floor. 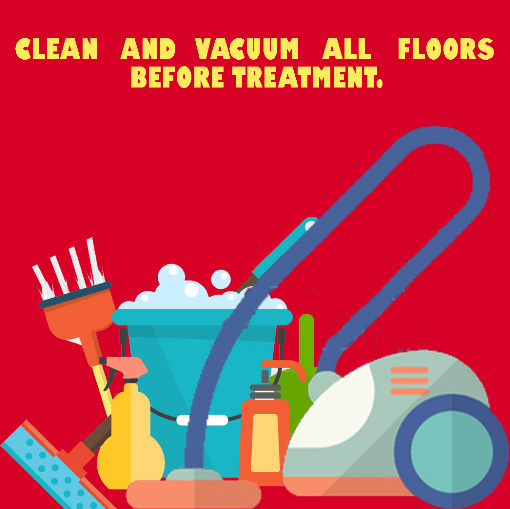 Clean and vacuum all floors before treatment. Wash all sheets, comforters, blankets, dust ruffles, pillow cases, etc. in hot water and dry at high temperatures. 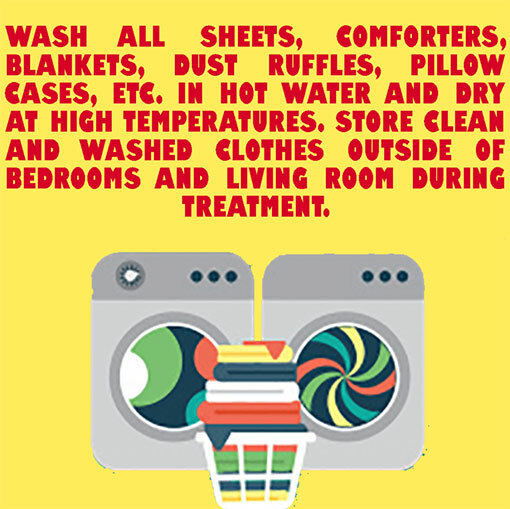 Store clean and washed clothes outside of bedrooms and living room during treatment. 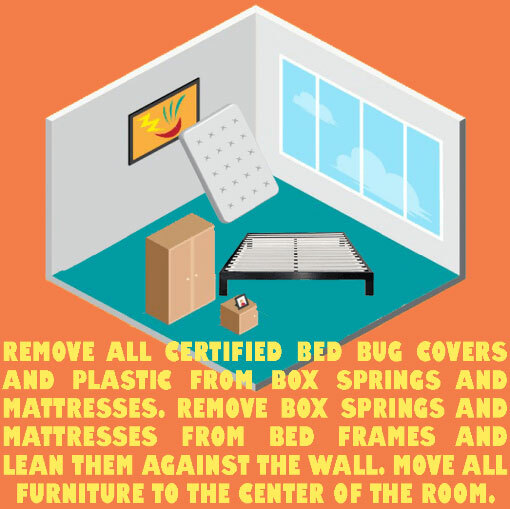 Remove all certified bed bug covers and plastic from box springs and mattresses. Remove box springs and mattresses from bed frames and stand them in an area where they can be treated. 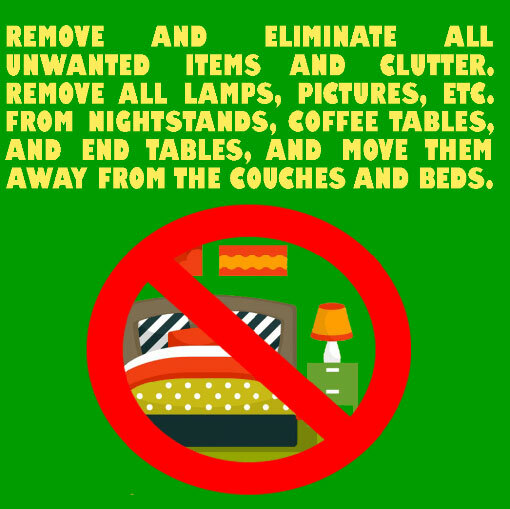 Remove and eliminate all unwanted items and clutter. Remove all lamps, pictures, etc. from nightstands, coffee tables, and end tables, and moved them away from the couches and beds. Remove all certified bed bug covers and plastic from box springs and mattresses. Lean them against the wall and move all furniture to the center of the room. 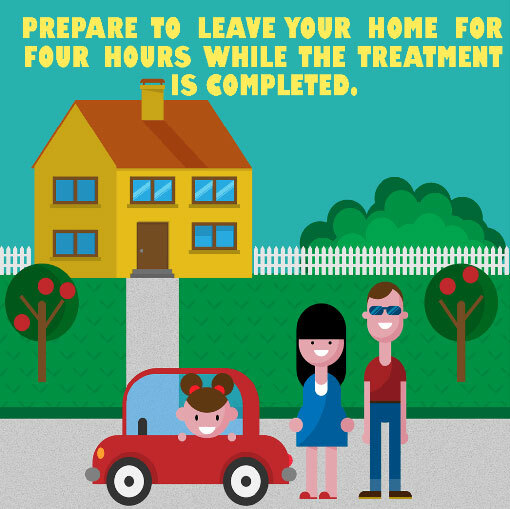 Be prepared to leave home for up to four hours during treatment. Rest assured our experienced pest control technicians have erradicated the pests from your home! Learn more about bed bug facts including fleas and mice. Hi-Tech Pest Control has a wide variety of commercial Integrated Pest Management programs to find evidence of pests. We also offer residential IPM programs to fit your preventative pest maintenance needs. Call us at 248-569-8001 to start your Integrated Pest Management program today! From Pest Heat Treatments to Chemical Pest Treatments, we are your one-stop source for pest maintenance. Whether it crawls, flies, bites, or destroys — no matter how in-depth your pest problem is, Hi-Tech Pest Control can solve it! We pride ourselves on doing the jobs those other guys can’t do. Plus, with a 6-month money back guarantee and a free inspection, you have nothing to lose. Call Hi-Tech Pest Control today at 248-569-8001 to schedule your free inspection!